Around 3,000 different types of chemicals (amongst which a number are toxic) can be used in paper-making. Although paper products are mostly biodegradable and easy to recycle, these hazardous substances can still affect human health and environment throughout every step in the life cycle of paper. 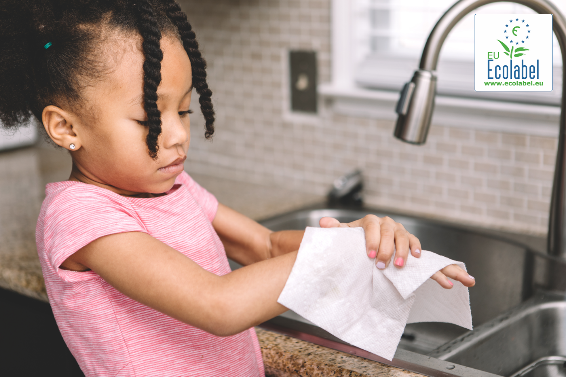 The brand new EU Ecolabel criteria for paper published in 2019 make sure these environmental and health risks are limited, with bans on certain toxic chemicals. For example, the desired white color of paper products is often acquired through a chemical process of bleaching with chlorine gas. Yet, chlorine gas contains significant quantities of dioxins, a persistent organic pollutant, recognized amongst the most toxic pollutants in the world. Exposure to chlorine can induce nose, throat and lung irritations, as well as risks of pneumonia for workers. Dies used for aesthetic purposes by the paper industry, are also toxic for human health when they contain ‘heavy metals’ and are classified as probable human carcinogens according to the U.S. Environmental Protection Agency, and the International Agency for Research on Cancer. The EU Ecolabel criteria do not allow the use of chlorine gas as a bleaching agent and ensure that inks used in the products are metal-free. A long list of substances included in the ‘Candidate List for Substances of Very High Concern’ are also banned in concentrations greater than 0,10 %. Paper is one of the most recycled products on the planet. Although recycling paper saves resources and energy, recreating pulp from waste paper requires a de-inking process that uses toxic chemicals. This process generates waste slurry which easily leaks into the surrounding environment and water through factory discharge, affecting flora and fauna. 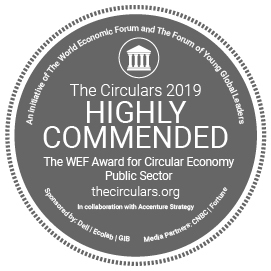 This environmental issue is dealt with by the EU Ecolabel criteria through a requirement that all substances used in de-inking processes be biodegradable. 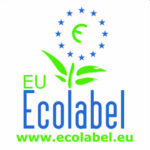 The EU Ecolabel goes further than most environmental certifications with its requirements, ensuring that almost all polluting processes in the paper production are analysed and controlled.